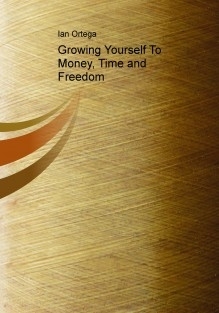 This books aims at helping you to grow yourself to freedom, time and money. One writer once noted that: A creative person needs three things to be happy; Freedom to do what you want, when you want and how you want it. Not just in holidays and spare time but also doing meaningful work in your own way. A creative person also needs Money-to maintain your independence and fund your creative projects. Of course you want a nice place to live, but youre not so worried about a bigger car than the guy next door. Youd rather spend money on experiences than status symbols. Finally a creative person needs Time-to spend as you please, exploring the world and allowing your mind to wander in such of new ideas. This is the core centre of this book, to help you achieve time, freedom and money in abundance. I am not trying to give you the cheapest, fastest or easiest way to do it, but the most amazing and exciting way. If you are ready for the experience, I wish you the best of your reading, get ready to grow and grow consciously to success and master the game of life and play it like a professional.